Futuristic combat racing games were all the rage a few years ago thanks to titles such as WipeOut and Rollcage, but nowadays it’s hard to find new games that manage to capture the spirit of these classic titles. Things, however, are going to change soon, thanks to GRIP, a new combat racing game currently in development by Caged Element. GRIP has been in development for some time, but now those who cannot wait to get their hands on the game have the chance to purchase it on Steam Early Access and see for themselves if GRIP can bring about a new era of combat racing games. An Early Access trailer has also been released, and you can check it out right below. 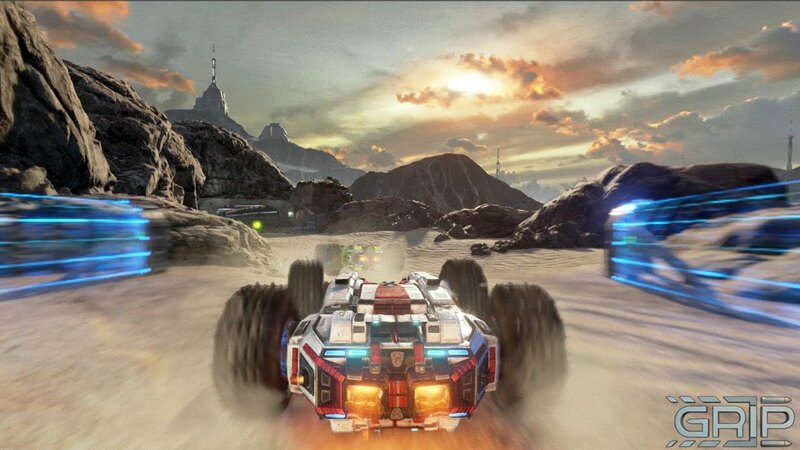 Just like the best games of the past, GRIP will come with a high-speed racing experience, with vehicles being able to hit speeds of up to 700 kmph, plenty of power-ups and weapons, tracks set on exotic planets and more. If you’re a fan of the already mentioned Rollcage, you’ll surely find plenty to like in GRIP. A few months ago we had the chance to chat with GRIP’s producer and designer David Perryman, who has revealed that GRIP will also come to Xbox One, but at a later date. GRIP is currently available on Steam Early Access. The game will also be released on PlayStation 4, with the Xbox One release coming at a later date.